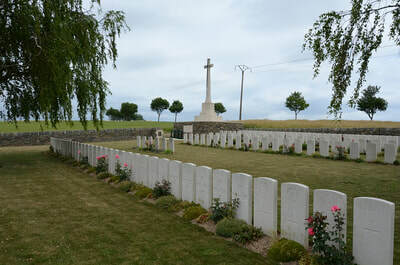 Guemappe is a village in the department of the Pas-de-Calais, 800 metres south-west of the straight main road from Arras to Cambrai (D33). 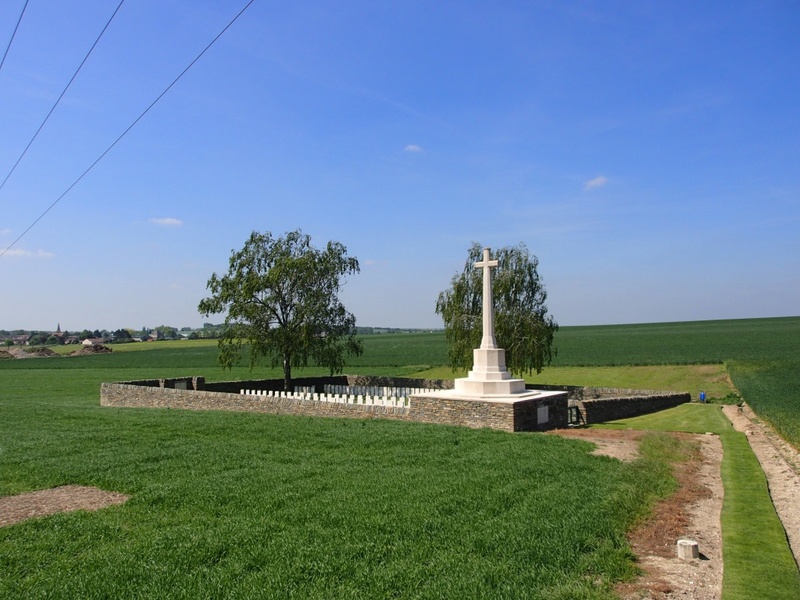 Tank Cemetery is about 700 metres north-west of Guemappe village, near the west side of the road from Monchy to Wancourt. Guemappe was captured by Commonwealth troops on 23 and 24 April 1917, twelve days after Wancourt. 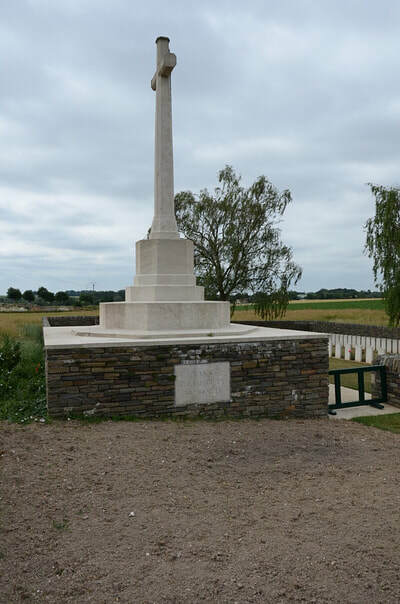 The village was lost on 23 March 1918 and retaken by the Canadian Corps on the following 26 August. 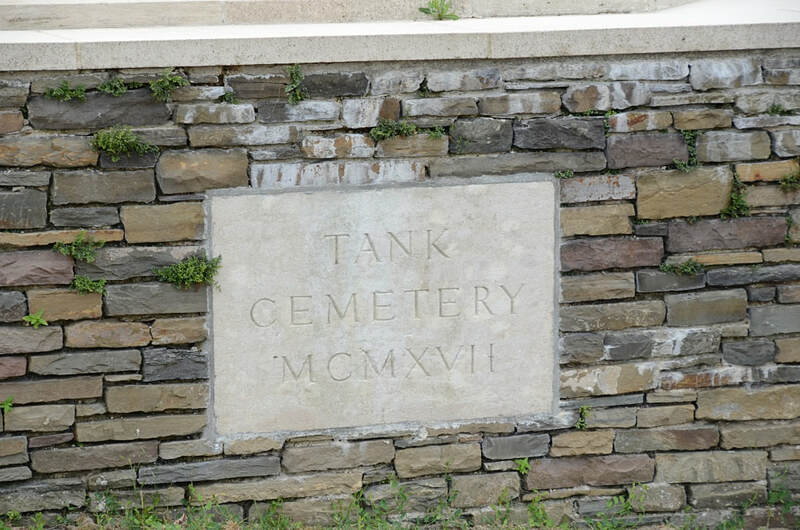 Tank Cemetery was begun by fighting units in April 1917 and used by fighting units and field ambulances until June. 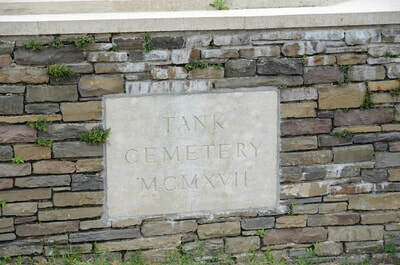 It was damaged by shell-fire in 1918. 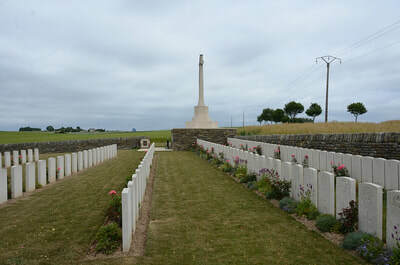 The cemetery contains 219 burials and commemorations of the First World War. 25 of the burials are unidentified but there are special memorials to five casualties known to be buried among them. 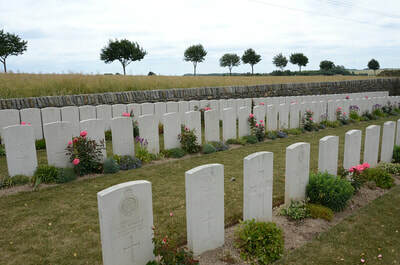 Six graves in Row A, identified as a whole but not individually, are marked by headstones bearing the additional words: "Buried near this spot". 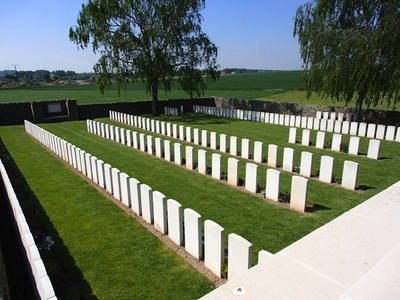 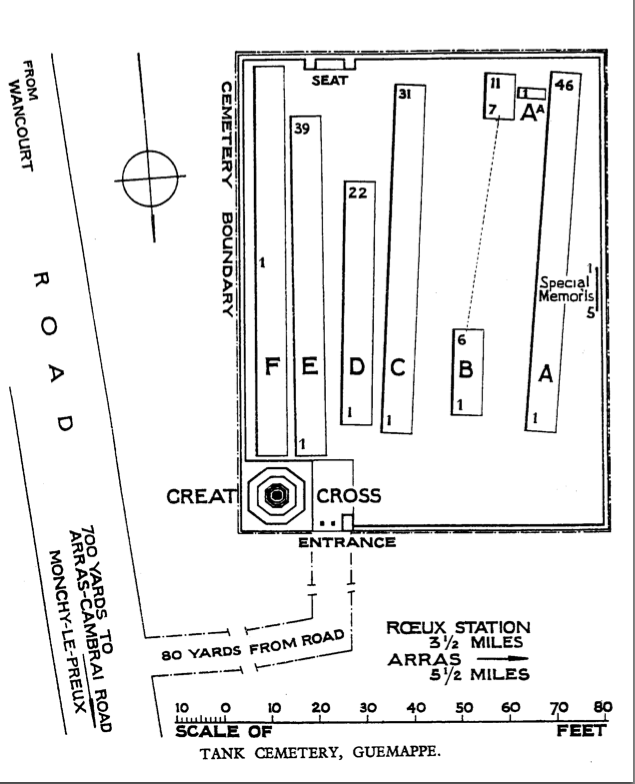 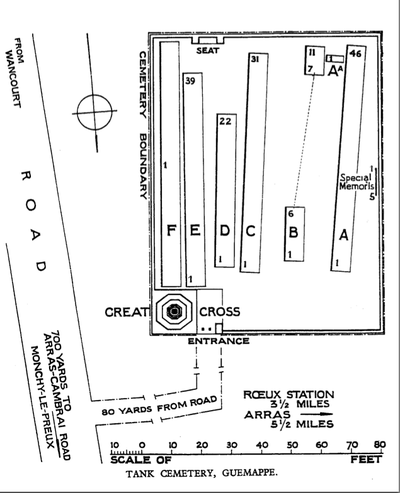 Row F is one big grave in which 64 men of the 7th Cameron Highlanders are buried. 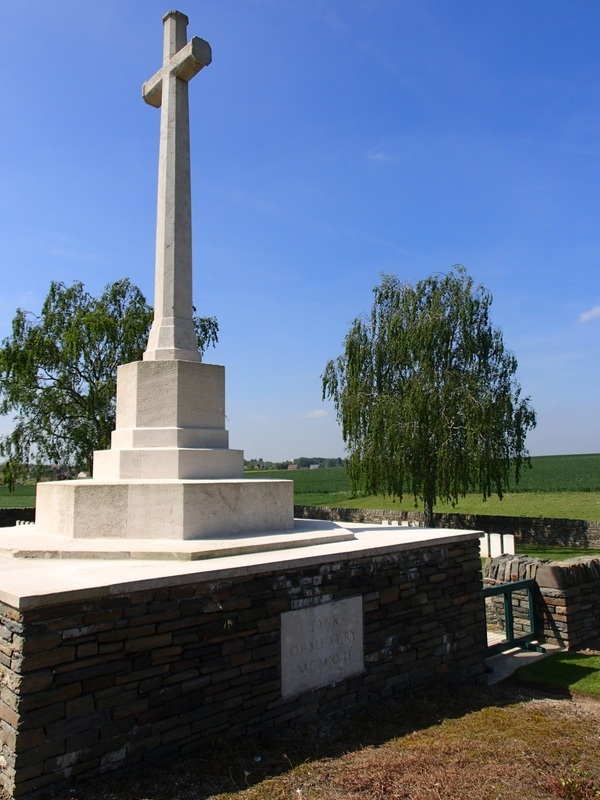 Remembered by his grand-daughter Iris Clarke and family. 474210 Rifleman Robert Rogers, 12th Bn. London Regiment (The Rangers), 5th May 1917. Remembered by his great grandchildren Jeannette, Michael, Keith, Caroline. R.I.P.